A spate of alleged ''tanim-bala'' (bullet planting) incidents is now putting the country's airports in a bad light, with many politicians now calling for an investigation and sacking of airport and transportation officials. The controversy is growing bigger, hitting the large sector of overseas Filipinos who remit over $20 billion yearly and contribute significantly to the country's economic growth. Some of the alleged victims were OFWs who, in the eyes of the public, are innocent of the charges. 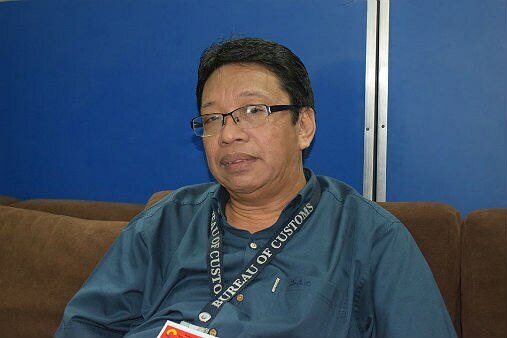 Airport officials and personnel under the Office for Transportation Security (OTS) are now under tremendous pressure to explain how bullets end up in the luggage of supposedly unwitting passengers. Like the balikbayan box brouhaha, this issue is also threatening the candidacy of administration standard-bearer Mar Roxas. His major opponents in 2016 – Vice President Jejomar Binay, Sen. Grace Poe, and Sen. Miriam Defensor Santiago – are already calling for a thorough probe on the matter. Rhodora de Guzman was among the first to bring the matter to public knowledge when she posted on Facebook her alleged experience at the hands of two security personnel at Ninoy Aquino International Airport (NAIA) Terminal 2. The wheelchair-bound balikbayan said she paid P500 to the airport security personnel to allow her to depart. 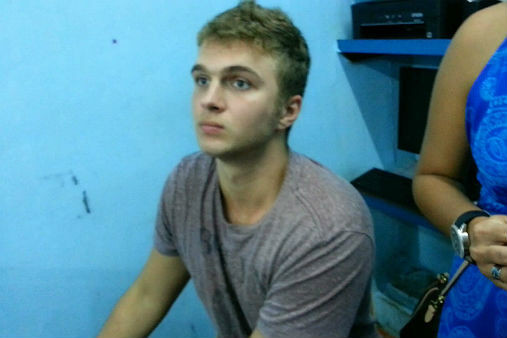 Lane Michael White, 20, was detained for five days by airport police at the NAIA Terminal 1 for allegedly concealing a bullet in his checked-in baggage. White said a security guard pulled out a .22-caliber bullet from the pocket of his luggage after repeatedly scanning it on the X-ray machine. Mavic Templo, a Los Angeles, California-based Filipina, said she was victimized by two airport security personnel in September 2012. Kazunobu Sakamoto, 33, was detained after two 9mm bullets were found in the pocket of his shirt inside his luggage at the NAIA on October 25. He later admitted that the bullets found in his luggage were his souvenirs from a recent trip to a firing range. Hong Kong OFW Gloria Ortinez was arrested after a rifle bullet was allegedly found in her bag late October. Ortinez, however, said she did not know about the bullet, especially since there was no bullet detected in her bag when she was at the Laoag International Airport. She was later released without having to post bail after the fiscal's office said the evidence submitted by the members of the Philippine National Police (PNP) Aviation Security Group was questionable. Police Officer (PO)3 Careen de Padua and PO1 Rommel Ballesteros were removed from their posts after the bullet they submitted to the fiscal's office was different from the one allegedly found in Ortinez's bag. Journalist Vito Barcelo said he ran into trouble at an airport in China seven years ago when Chinese airport authorities found a bullet in his hand-carried luggage. Barcelo said a bullet from a .22-caliber pistol was found by Chinese authorities at the Guangzhou International Airport in his luggage as he was about to board a connecting flight to Beijing. Barcelo was with other Filipino journalists and government officials in China upon the invitation of Chinese businessmen. Barcelo believed that the bullet was planted in his luggage while he was still in Manila because he saw his bag slightly opened. He said he did not mind the opening and proceeded with his trip to China. He suspects that airport security screeners in Manila did not harass him because he wore an airport media security access card and was with a group of Philippine journalists and government officials. Augusto Dorde Dagan, a 60-year-old engineer, was on his way home to Manila when a screening at the Davao International Airport revealed the bullets inside his baggage. Screening officer Ariel Mark Villareal recovered the 9-mm caliber bullets from Dagan's bag, and reported the incident to investigator PO3 Glen Jay Gallon. Dagan is facing a charge for violating Presidential Decree 1866, as amended by Republic Act 8294 or Illegal Possession of Firearms and Ammunitions. He was released after posting P120,000 bail but has yet to issue a statement. Nimfa Fontamillas, 65, was arrested at NAIA Terminal 1 after a bullet was found in her bag. She was bound for Singapore to watch her grandson's football game.